You may wish to read an introduction to this section or a page on Roman and Byzantine Parenzo first. The canonica to the south of the duomo must at one time have been a grand pile of building. 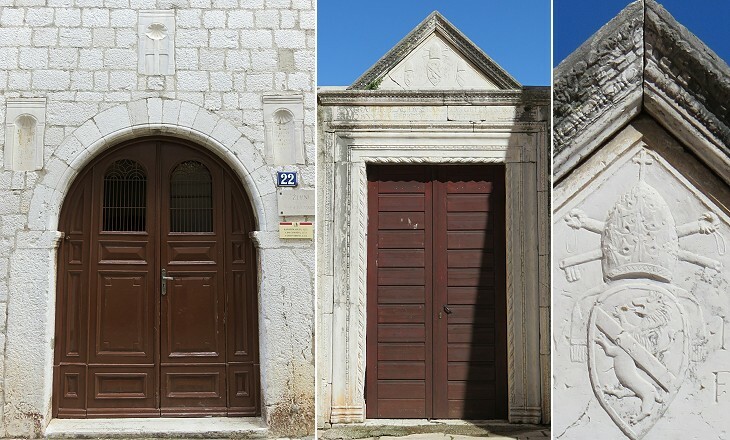 The front to the street is in a very simple but excellent style of round-arched work, strongly resembling the transitional architecture of Northern and Western Europe. 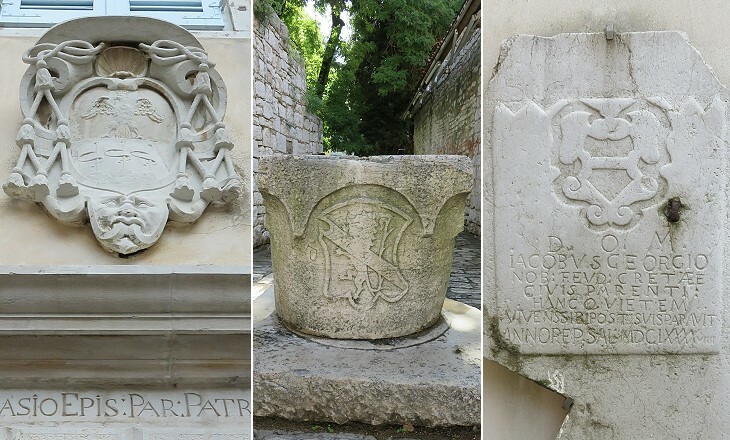 There are three little niches over the old gateway, with shells forming their heads, a classic idea that seems never to have been forgotten on the shores of the Adriatic throughout the middle ages. The middle niche contains a cross, and the others two inscriptions. The first gives the date of the building, 1251. Sir Thomas Graham Jackson (1835-1924) was one of the leading architects of his time. 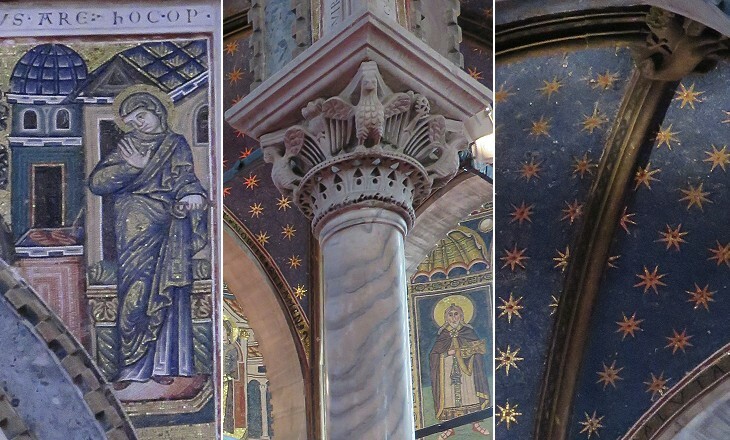 He visited Parenzo in 1885 and he wrote a very detailed account of its Euphrasian Basilica. At that time Parenzo was part of the Austro-Hungarian Empire. The Bishops and the inhabitants of Parenzo were often at loggerheads. The Bishops represented the authority of the Patriarchs of Aquileia while the inhabitants advocated their right to self-government. In 1261 Comune di Parenzo, the municipal body representing the community, formally sought the protection of Venice, thus establishing a bond which lasted until 1797. The conflict between the Comune and the Bishops led the latter to excommunicate the town and its inhabitants, but eventually they had to accept limiting their authority to religious matters. The church was built in the XIIIth century, but it was largely modified after it had been deconsecrated in 1806 by the French. 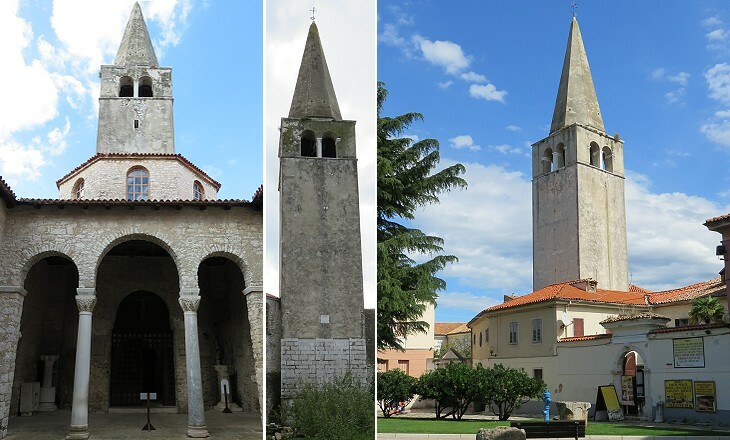 It is the second largest church of Parenzo and it shows the importance the Franciscans had in Istria and Dalmatia. During the XIVth century Parenzo was ravaged by the Genoese and its population began to decline. 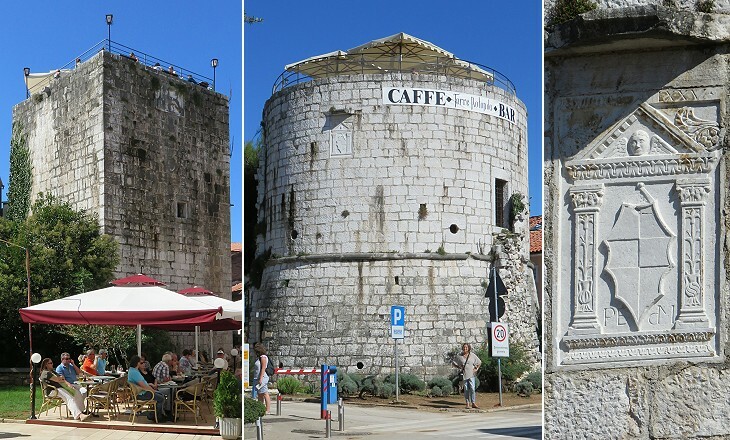 In the XVth century the Venetians redesigned/strengthened the XIIIth century walls which replaced the ancient Roman ones. Venetian military architects were among the first to design fortifications which could withstand the impact of cannon warfare, especially after the ancient walls of Constantinople failed to prevent the Ottoman conquest of that city in 1453. The square towers which protected the ancient towns were designed taking into account the range of arrows. Those of Rome were placed at a distance of one hundred feet. Venetian military architects realized they did not need many small towers and that a circular shape withstood better the impact of cannon. 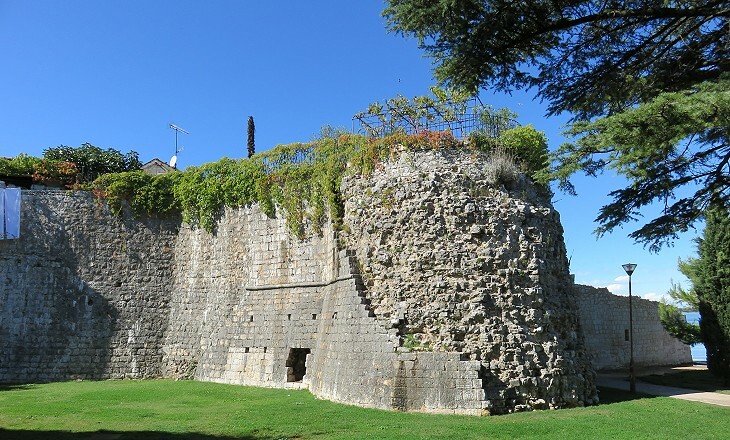 Eventually they designed fortifications having the shape of a star, such as those at Palmanova and at Candia. 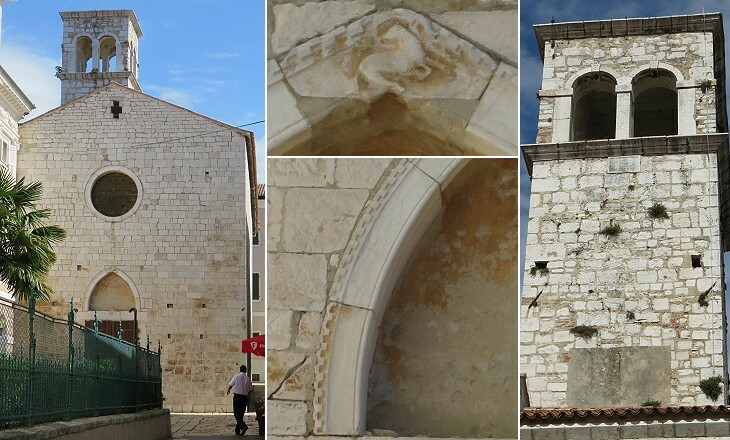 The Pentagonal Tower is dated 1447 and it protected the main entrance to Parenzo. 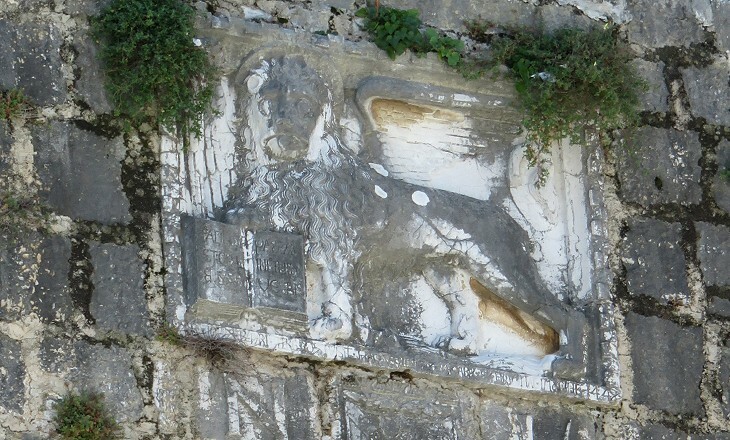 A small inscription indicates it was designed by Giovanni da Paro from Trieste and that the lion was sculptured by his son. The inscription on the book is Facite Iustitiam et Dabo Pacem in Finibus Vestris (Be just and I will give peace to your country), rather than the usual Pax Tibi Marce Evangelista Meus (Peace to you Mark, my Evangelist). 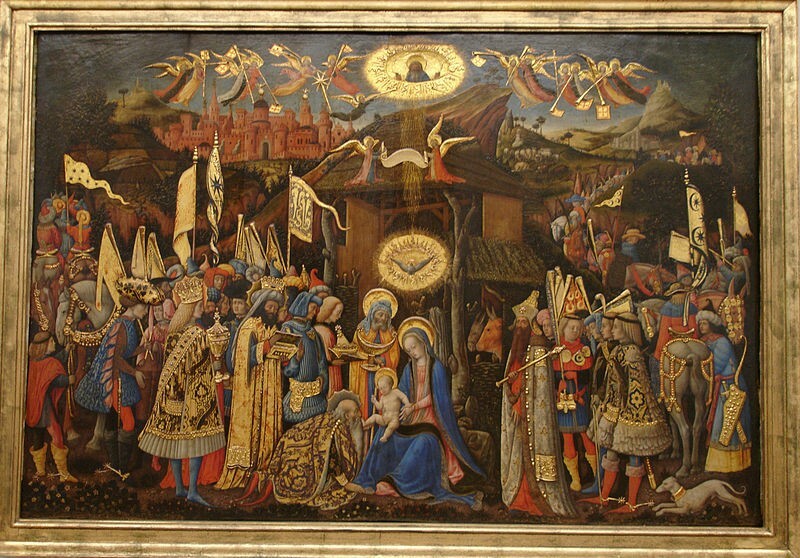 Works by Antonio Vivarini can be found in many churches of Venice (and in museums throughout Europe - see his Adoration of the Kings at the Gemäldegalerie of Berlin - it opens in another window). 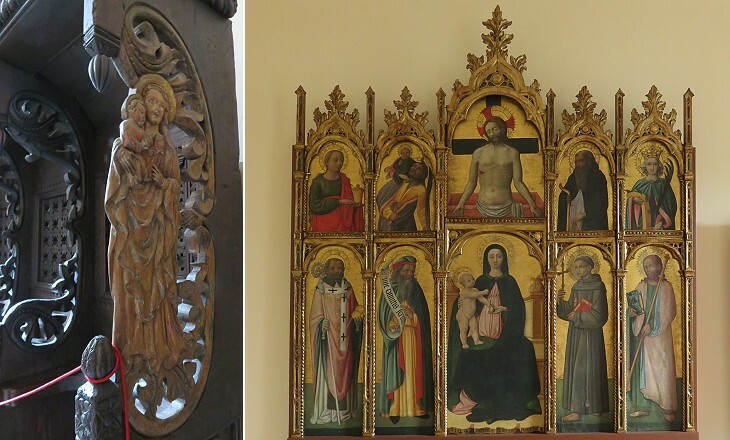 He specialized in polyptychs and he was assisted by his brother Bartolomeo and his son Alvise. The bell tower of Basilica Euphrasiana was built in the XVIth century. It lacks decorative elements, a fact which indicates that Parenzo, although being a bishopric see, suffered from a depressed economy. It is estimated it had 700 inhabitants in 1580 and only 300 in 1630. 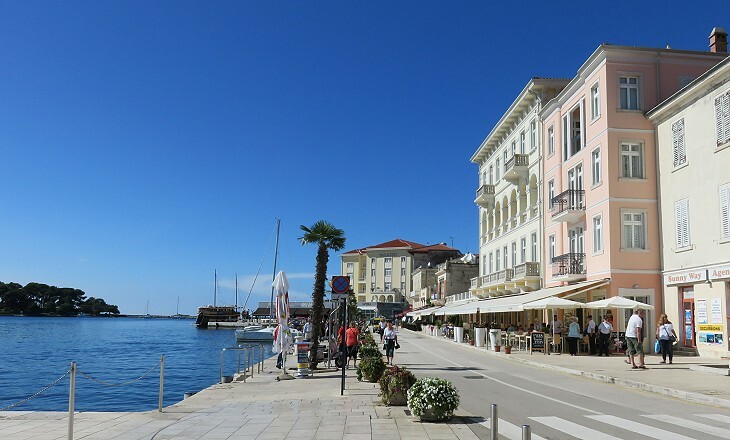 The decrease was partly due to pestilences and partly to raids by Uskok pirates who were based at Senj, on a stretch of the Adriatic coast belonging to the Habsburg Archdukes of Austria. In 1615 these raids led to a short war between Venice and the Archdukes of Austria. Eventually the latter agreed to stop Uskok raids. In 1669 Venice was forced to surrender Crete to the Ottomans. Many of the local noblemen chose to leave the island and move to other territories of the Republic (e.g. Zante). Eventually the Venetian Senate favoured their settlement in Parenzo, which was revived by their arrival. According to the 1925 Italian Touring Club Guide Parenzo had a population of 3,471 inhabitants. This very limited demographic development explains why so many small and old buildings can still be observed in the historical part of the town. 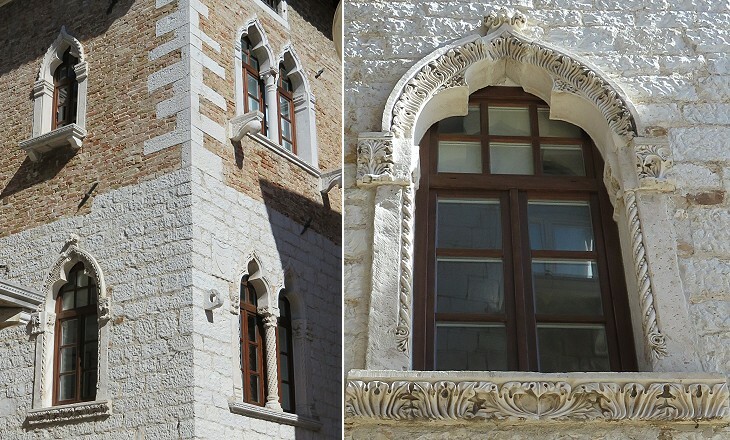 Many houses had their entrance at the upper floor, something which can be seen in many Italian medieval towns (e.g. Viterbo). The narrow streets abound in Venetian balconies and windows both of Gothic and Renaissance architecture, some of which are extremely handsome. T. G. Jackson. Giovanni Girolamo Zuccato was appointed Cancelliere Grande of the Republic in 1772. Cancelliere Grande was the head of the administration and the highest position achievable by a non-member of the Venetian patrician families. Giorgio Giovanni Zuccato (1761-1810) became a general of the Russian Army. The finest palaces are aligned along the ancient Decumanus Maximus, the main east-west street of the Roman town. 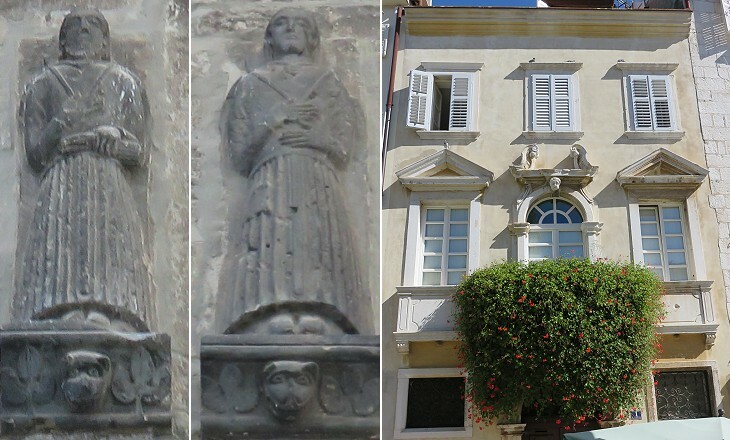 Some of them are named after details of their decoration, such as the small heads of lions of the windows of Palazzo dei Leoni. 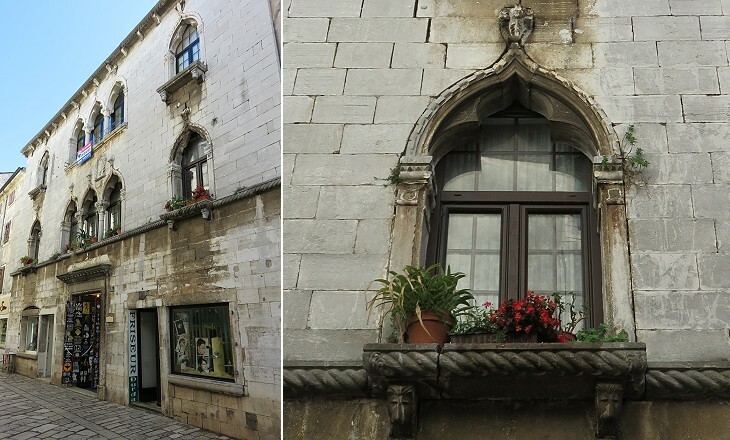 The design of these windows is typically Venetian and can be observed in other towns which belonged to the Republic in today's Croatia (e.g. Foscolo Palace at Sebenico). Notwithstanding its smallness Parenzo retains a variety of buildings/decorations which testify to its very long history, but unlike nearby Rovigno, few of them are dated XVIIIth century. 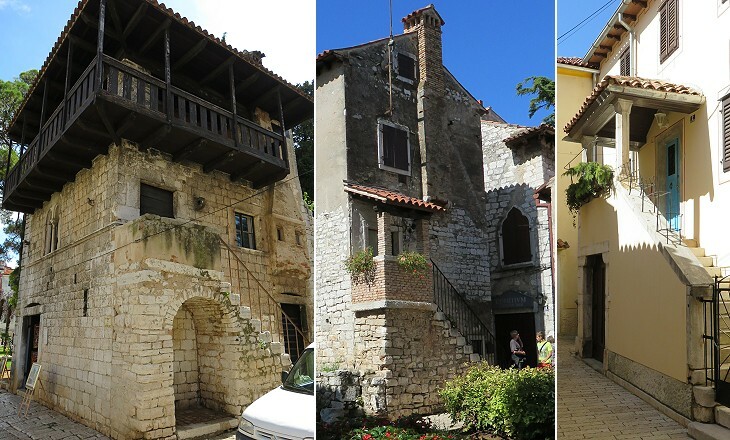 In the second half of the XVIIIth century the population of Parenzo grew and a new quarter developed outside the walls where a church was built in 1747-70. It has a typical Venetian bell tower. 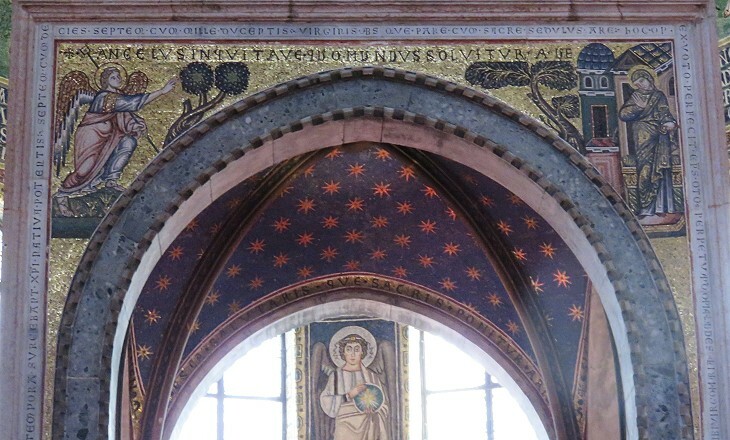 It has a rather bare interior, although some of the decorated altars of S. Francesco were moved there. 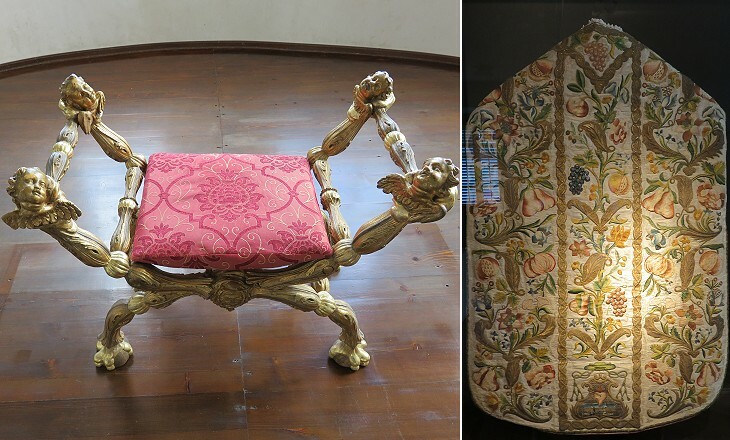 Many of the Bishops of Parenzo were chosen among members of rich Venetian families who could afford to embellish their palace with very expensive objects. The image used as background for this page shows a detail of a marble screen in the Bishop's Palace. In 1828 the diocese of Parenzo was united to that of Pola. 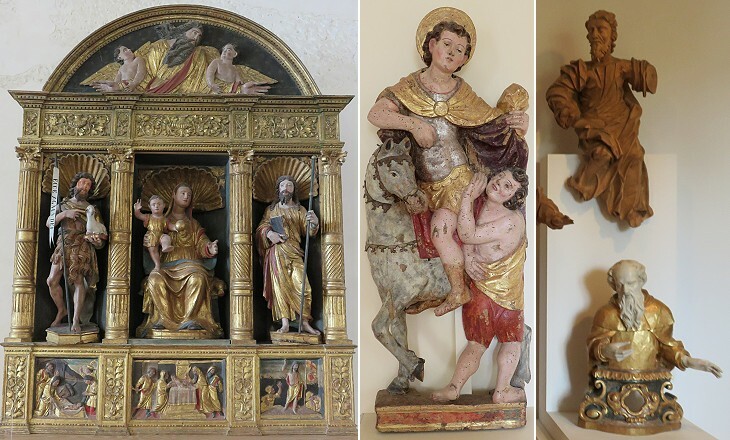 The Bishop's Palace houses a small museum where works of art from deconsecrated or lost churches have been moved. 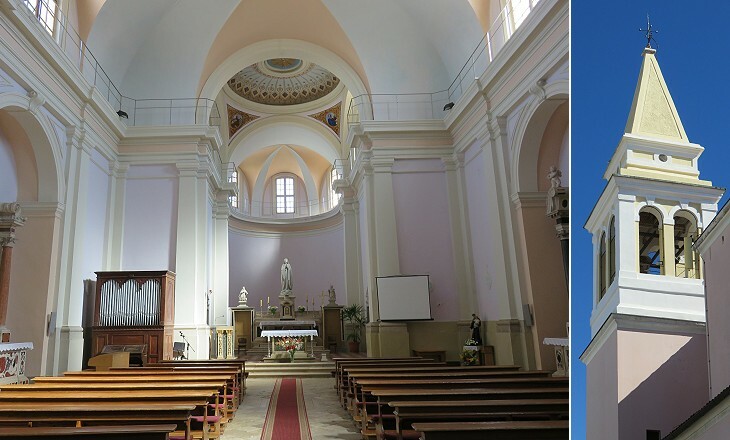 During the period Parenzo was part of the Socialist Federal Republic of Yugoslavia (1945-92) strained relationships between the government and the Holy See led to the closure of many churches and some dioceses were left without a bishop.